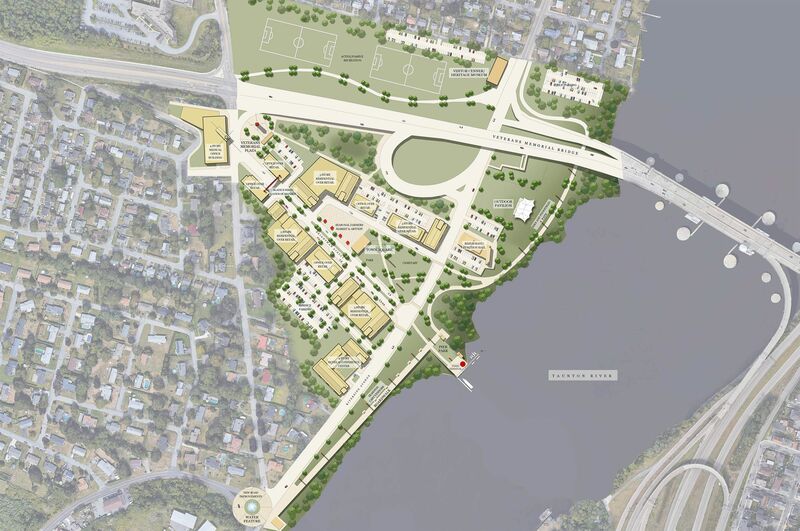 Slade's Ferry - SMOOK Architecture & Urban Design, Inc.
SMOOK Architecture was retained by the Town of Somerset and the Southeastern Regional Planning & Economic Development District (SPREDD) to create a Master Plan for the downtown areas. 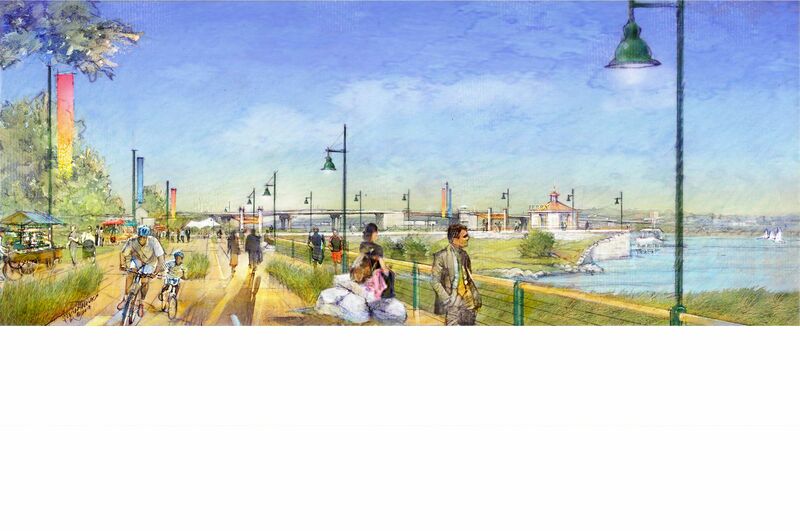 SMOOK created a plan know as "VISION 2040" transforming it into a vibrant, attractive, livable mixed-use location with a sense of place, as well as to support and strengthen the development of a riverfront park. The revitalized mixed-use downtown will be developed over time recapturing the waterfront area as the new amenity that will become a regional destination. The masterplan includes a veterans memorial, seasonal farmers market and arts fest, boardwalk, bike and pedestrian paths, soccer fields, marina and piers park, several parking areas and ferry terminal to Boston. Four of the largest types of mixed development envisioned includes: 185,000 SF retail, dining and entertainment use, 245,000 SF 245-unit residential development, 145,000 SF of office and medical building and 120,000 SF hotel.